Shamolie Oberoi writes about the staggering lack of sanitation infrastructure for women in Mumbai, India. Besides the lack of toilets, the existing toilets are also unhygienic, and seem to be designed for able bodied, non pregnant, non lactating women only. Arabelle Sircadi writes a personal account of their journey with gender in public and non public spaces, and the importance of not making someone’s gender their introduction. Probashi writes a profile on Madhumala Chattopadhyay’s work with Andamanese Tribes as an anthropologist. She was one of the people who established the first ever friendly contact with the hostile Sentinelese Tribe. Madhumala is also the first woman to be accepted by another Andaman tribe, the Jarawas, with whom she established a friendly relationship. Unfortunately her accomplishments remain forgotten. In an Indian Express podcast, Tara Krishnaswamy, the co-convener of the India Women’s Caucus, speaks about the reasons behind the low number of women in state and national politics, as MLAs and MPs, despite there having been an increase in the number of women in local and Panchayat roles. Japan Times writes about the march in Syria by Kurdish women to call for an end to violence against women. The march took places on the streets of the Syrian Kurdish-majority city of Qamishli last Sunday. 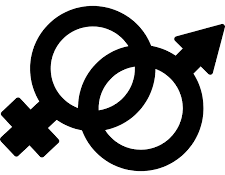 ABCs of Gender- What Does Intersex Mean? ABCs of Gender- What Does Asexual Mean?